2017 is nearly over, and I still keep thinking it’s 2016. This has been my busiest year yet, from new friendships and fresh beginnings to my best project to date, The Girl Who Frosts the Cakes. In 10 years, I hope that’s exactly how I remember 2017. I edited this post a lot. Why? Because I kept suddenly remembering books I had read and forgotten. 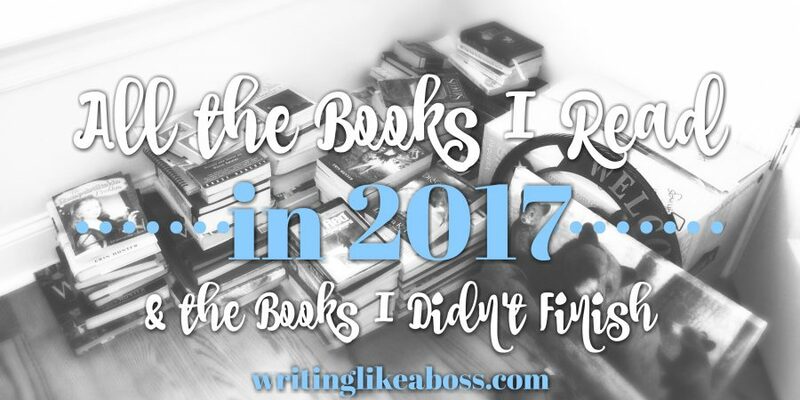 The original intent of this post was to showcase how few books I had read – the title was “Every Book I Read in 2017 (HINT: IT’S NOT A LOT. 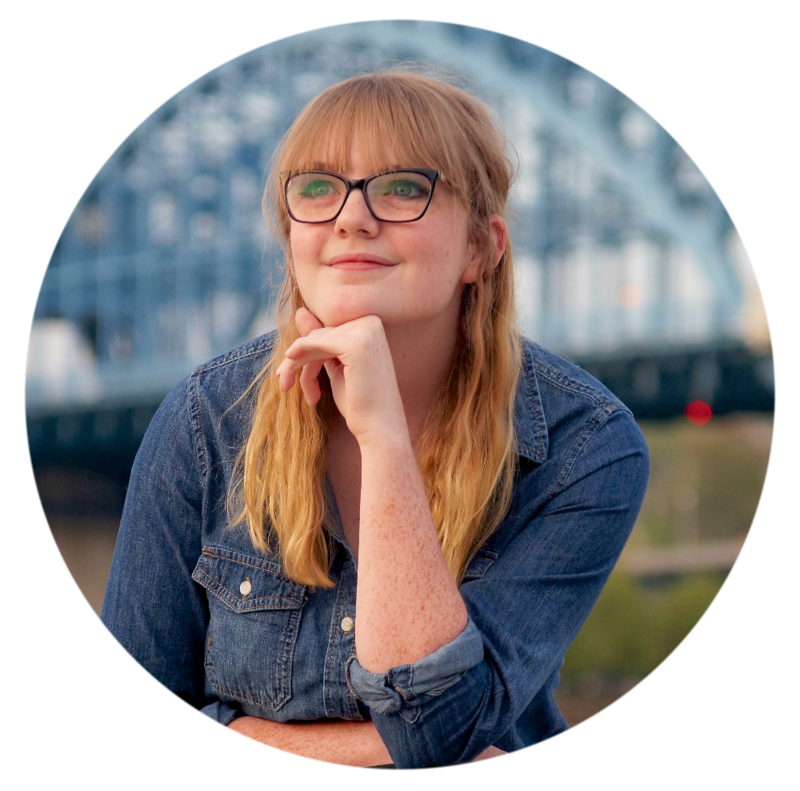 )” – but as I thought about it, I realized I read a fair number of books this year. I had to rewrite this entire intro. And because I haven’t finished my coffee yet, I couldn’t think of anything witty or creative to put in this spot. And that’s why I’ve rambled on about my lapse of memory for an entire paragraph. Author/genre: Jane Austen / Fiction/romance. When did I read it? : January 2017. Why did I read it? : To bond with my friend. My rating: Great characters, underwhelming plot. Emma was my third Jane Austen novel in a row, succeeding Pride and Prejudice and Sense and Sensibility. I read it with a friend, but she was able to finish it weeks before I could. The characters were fascinating, and I loved them; but that’s about where my enjoyment ended with this one. Author/genre: Kathryn Stockett / Historical fiction. When did I read it? : February 2017. Why did I read it? : I had started reading in December, and wanted to finish. My rating: Exceptional and engaging. This is one of my fastest reads. The characters, the narrative(s), the intense plots, they’re all very gripping. They draw you into the novel as soon as you start reading. Taking place in the 1960s, The Help is all about racism in the south. The story is told from three points of view – two black women and a white woman – which I normally don’t like, but this author did it exceptionally well. Despite what people say: this is a truly stellar novel. Author/genre: N.V. Caldwell Jr. / Non-fiction. When did I read it? : March 2017. Why did I read it? : Historical research. My rating: Excellent info, poor writing. I read this book as a means of researching The Girl Who Frosts the Cakes, about a month before I started my second draft. It was the only book I could find that was about the everyday life of an American family during World War II, and it was full of all kinds of useful material for my novel. But what the book was lacking? An editor. Though helpful for what I needed, War & Home is ridden with simple grammar, spelling, and punctuation errors. At one point, the author even wrote “lemon aide” instead of “lemonade.” It was disappointing to find things like that in a book by an older and experienced man. Author/genre: Susan Jane Gilman / Historical fiction. When did I read it? : April 2017. Why did I read it? : Ice cream and historical fiction? I’d be crazy not to read it! Ah, The Ice Cream Queen of Orchard Street. This novel’s cover stood out to me in the Target book aisle for two reasons: first, the big pink ice cream cone on top of a vintage photo; second, the 20% sticker. This book is unique for how the author handled time. The beginning of the book is pre-WWI, and the story continues to bleed far into WWII, with a few entries from present day; all while avoiding confusion for the reader. For as much as it shifted views and places, this book made a surprising amount of sense. A definite achievement. Author/genre: Jennifer Donnelly / YA fantasy. When did I read it? : June 2017. Why did I read it? : A desire to read something lighthearted. Lost in a Book is a fantastical retelling of Disney’s Beauty and the Beast. Belle gets sucked into a book (quite literally! ), in which the world seems flawless. Only, of course, it isn’t, and she gets caught in the crossfire in a classic “good vs. evil” trope. Though meant for a younger audience, this book is a magical adventure, and I honestly enjoyed it. Why did I read it? : As a self-help book. This was the first Max Lucado book I read, and I will say: he is an amazing author. God Will Carry You Through is bursting with hope at the seams. It was definitely one of the best books I read this year. Author/genre: Joanna and Chip Gaines / Non-fiction. When did I read it? : July 2017. My rating: Cute, but prose was dull. I liked the inside scoop on the TV faces. It made them seem more human to me. But, as much as I love them, their prose bugged me. Joanna’s writing was sweet, but dull. Chip’s was annoying. But based on what I’ve read of Chip’s more recent book, I think I’d like it better than The Magnolia Story, surprisingly enough. Maybe that one will be on my 2018 list? When did I read it? : August 2017. Why did I read it? : I had reader’s block. My rating: Marvelous, but dark (for a children’s book). Gosh, this looks out of place on this list, doesn’t it? It almost looks like I started the Harry Potter series on the sixth book! I didn’t, I promise. I read the previous installments last year. We all know I love a little something lighthearted, and I needed something to read at the pool over the summer, so I resorted to good ol’ Harry. Of course, being J.K. Rowling, it was nothing short of fabulous. My only complaint was how rapidly it grew very, very dark. It was almost too much for me, which is a lot for a young adult novel. Author/genre: Sarah-Jane Stratford / Historical fiction. When did I read it? : September 2017. Why did I read it? : I still had reader’s block. My rating: Best. book. ever. I got Radio Girls as a Christmas gift last year. It’s a brilliantly written post-WWI novel, taking place in the earliest stages of the BBC. The book is, by turns, fascinating and smartly funny, and frankly, it’s my most favoritest book ever. I’m presently rereading it (which I hardly ever do). Not only is this a superb book as a whole, it’s been an incredible inspiration for The Girl Who Frosts the Cakes. Win-win! Author/genre: Bruce Wilkinson / ??? When did I attempt to read it? : May 2017. Why I didn’t I finish? : I was completely and utterly confused. While I’m sure The Dream Giver is a very respectable book, I didn’t stay long enough to see anything as such. To this day, I’m still unsure what genre it falls under. Was it self-help? Was it fiction? Was it supposed to be metaphorical? I wouldn’t know, because I stopped reading. When did I attempt to read it? : April, August 2017. Why didn’t I finish? : A desire to read a different book. I tried reading this in April, and again in August because, yes, I adored the characters. I fell in love with Fanny and Edmund especially. I stopped reading because I didn’t have the dedication or focus to read something so heavily worded. But it worked out, because I read Radio Girls instead! Author/genre: Sophie Kinsella / Fiction. When did I attempt to read it? : September 2017. Why didn’t I finish? : I hated the book. I’m not the kind of person who hates things. I’m a flowery person who falls in love with everything she sees. I love wedding dresses, puppies, poetry, skirts, and glitter pens. I do, however, hate what I read of My (Not So) Perfect Life. The concept drew me in, but the first chapter drug me back out. The language was vulgar from the start, the characters were commonplace, and the protagonist was lackluster. I imagine the book would have been better if I waited it out, and I tried. But I just couldn’t read any more. Let’s talk! Have you read any of these books? If so, what did you think? Do you have any suggestions for my 2018 reading list? Chat with me in the comments!